A person often allows his mind to become an open inn. People and ideas come and go, leaving behind thoughts and impressions, while the owner stands there at the door in astonishment and does not know his own soul. The reaction to the Slifkin ban was almost immediate and ranged from sedate to passionate. Never before in the past 40 years have we seen so much feeling and emotion, on such a scale, around a single issue and it is, of course, the phenomena of the 'blog' that facilitated it. As a blogger pointed out, once the rabbis began to resort to writing pamphlets to support disputed positions, they abdicated their place as sole arbiters of Torah truth and put the power of judging in the hands of the laymen. Boy, did the laymen go for at it?! 1.The increasing prominence of the Baalei Teshuvah in Orthodox Jewish life. Many BT's are serious thinkers who never fully stopped grappling with the issues of acceptance: do I belong, did I make a mistake, is it all a mirage, would I do it again? Remember - a BT did not usually grow up with the sights, smells, and images of religious life and, if what we see in childhood remains our unconscious standard, BT's often deal with the sense of not belonging, of "not normal" almost daily throughput their life and career. The sense of alienation and the fear of betrayal is never far from the awareness of many BT's. For many of us, faith remains a difficult balancing act and compromise positions like the ones that Slifkin promoted, are the only thin line between me and the abyss. There are compromises with one's moral sense, with one's perception of the absurd, with one's sensation of 'self and other', family and community. Religiously speaking,many BT's are in the state of inner tension. On the outside, they may look fully integrated but on the inside the battle for belonging rages. This is, of course, an oversimplification of a complex phenomenon, but worth pointing out. Look what happened! "A group of bearded, unappealing rabbis proclaimed one of our won to be a heretic. By extension, they rejected ME, after all that I had done, after everything that I went through. To add insult to injury, they negated my importance, dismissed all my sacrifices and declared that in which I believe to be of no worth." The anger followed. 2. The maskilim. There are many frum Jews who are maskilim, in the sense that the values of Haskala are their values. We must remember that while Chareidi ideology barely survived, the Haskalah won. Haskalah had a right wing, fully Orthodox G-d fearing scholars who would never compromise one iota of religious observance. That is who we are now - right wing maskilim. We speak English, dress in the modern fashion and study secular subjects, at least through high school. The divide between the right wing of Haskala and its Chareidi detractors had never been bridged; it is just that the opponents of Haskala renamed the situations that they were willing to tolerate, so that they may survive. Now they are stronger and are reopening hostilities. The Slifkin ban violated the tacit truce and upset the delicate balance, and old wounds are now opened again. 3. The intellectuals. As always this group represents the smallest group numerically but is prominent on the scene out of proportion to their true numbers. These are the professors, doctors and lawyers, people who know how to write and how to win an argument. Some of them fall into the other two groups, others were genuinely perturbed by the anti-intellectualism emanating from the opponents. They also made their voice heard. As a result, a vocal, intellectually equipped and highly motivated opposition to the Chareidi viewpoint and its leadership emerged out of the shadows - surprising and discomfiting the leadership that never saw it coming. Their response in the next installment. 1. Keep your head down so that the storms swirl around (and not through) you. 2. Find a guide who knows the garden but remember -he is great but sometimes makes mistakes. Respect with caution. 3.Your focus is on the Torah and Ribbono shel Olam. That's it - only on that. 3.Find those who think and act like you. Treasure them. Together you shall bring the Moschiach- one quiet sapling at a time. 4. If others take your spot, walk away, once and twice. Attempt to explain, to make sholom. Have pity on their ignorance. After that fight back like hell. 5. Remember-whatever you experience is an opportunity for growth. Ribbono shel Olam is sending you an opportunity to come close to Him, and you will sully it with anger? Do not sully it with anger. 6. It is not your garden. You just work here. 7.Somehow, at the end it always blooms. The garden was there before you came and it will remain forever. Inhale deeply and be full of grattitude. Compare with the Nadvorna tish (next post, filed under Chassidic) - You be the judge which possesses more spirituality. סדר טו בשבט בשערי קדם - הקהילה הליברלית - (Caution: There is kol isha but without indentifying information or picture - some poskim (such as SHUT M'archei Lev) permit this but with a caveat that it is still a davar meguneh). Our discussion of the organization and arrangement of Tanach would not be compete without at least a cursory introduction to the Masora. How was the text of Scripture kept uniform and free of corruption over the thousands of years of Jewish history? One needs to realize that in antiquity books were written by hand, sometimes from dictation of an assistant who read the scroll out before a scribe and other times copied directly from a master copy. It was a time consuming and tedious process and very susceptible to inadvertent misspellings, omission or substitutions of words and even phrases. Written scrolls were rare and very expensive; even the wealthy could not afford more than a few volumes. A manuscript at that time was like a car in our own. In addition, there was little opportunity to travel and to compare various scrolls and once an error became established in a particular scroll, it became perpetuated and ultimately preserved in copies written in that locality. After but a few generations, this mistake became enshrined in tradition and would be extremely difficult to correct. In fact, we now know that works such as the Iliad and the Odyssey that were composed in the same era as the Torah ultimately became profoundly corrupted (the texts we have now are a product of restorative work by the Greek academies of late antiquity). The same appears to be true of the various versions of the Torah preserved by deviant groups. Among the copies of the sectarians, another factor came into play. The temptation to add clarifications, insert a point of ideology or “correct” an obscure passage can be overwhelming when no one can check or contradict the scribe. We now possess manuscripts that appear to stem from these groups and that differ very significantly from the accepted Masoretic version of the Jewish tradition. The Samaritan version, for example, contains an extra eleventh commandment in its version of the ten commandments, has God ceasing His labor on the sixth rather than the seventh day, and joins the descriptions of the Exodus found in Devarim to that found in Shemot. The same is true of the Greek translations of the Bible that differ significantly from each other and the Masoretic text and of some, but not all, versions of the Dead Sea Scrolls. The fact is that the existence of non-Masoretic versions is not a discovery of the 19th century but has been noted and commented on by the Rishonim. I quote the Ikkarim 3, 22: “Although there exist Torah versions among the nations that differ from our text or in some words, this difference occurred through transcribers who were not knowledgeable regarding this. The Jews take great care in the text of the Torah, in plene and abbreviated spellings, the knowing of the numbers of letters and word separations of the cantillations signs, so much so, that they write it in the margins of their books and call it “masoret”. Other nations do not do so. So they said (Kidushin 30b) “Why were they called sofrim? Because they counted (sofru) all the letters in the Torah”. This signifies that it was preserved by them as Moshe had given it over, unchanged. Proof to this is that the text of the Torah found today in hand of all Israel dispersed all over the world… is the same text, without a difference”. Quality control and prevention of scribal errors is what the Masora is all about. The Masora, as we now know it, is a compilation of notes that served the purpose of alerting the scribe to the possibility of error. Whenever an unusual spelling, vocalization or turn of phrase were to be found, these notes list all similar construction elsewhere in the Bible. Thus, the transcriber would be kept from inadvertently substituting the more common word, spelling of phrase for the one required. As an example, let us consider the notes to the second verse in Genesis is “And the earth was empty and formless…”. The Masoretic note points out that the construction “And the earth…” is found 8 times in the Bible in the beginning of the verse. It then lists these eight instances. In this fashion a scribe is alerted to be careful not to miss the vav or “and” as he is writing this verse. The Masorah also includes end tallys of the number of words, letters and sentences in each parsha to enable a quick check for discrepancies. In addition, one finds notations regarding the Keri and Ketiv, small and large letters, dots over certain words et cetera. As time passed, an occasional exegetical or grammatical comment came to be inserted in the Masora notes. At times they also indicate cantillation or pronounciation points. Although the first collections of these notes can only be traced to the early 600-700 C.E., it is quite clear that they existed in oral or written form much earlier. One can therefore date the Masora to within few hundred years of the Men of the Great Assembly. It is likely that a similar or other related mechanism to ensure fidelity to the original text existed prior to that. We know, for example, that in antiquity copies of sacred texts were kept in temples to guard accuracy of their text, as we find in the account of Josiah's restoration and attested to in Sofrim 6,6. Lest you think that it is impossible for texts to survive unaltered over a long period of time, there exists ample precedent for preservation of accurate versions over centuries and even millennia. “”Extrabiblical examples include the Egyptian Hymn to the Uraeus (serpent goddess) first known under Ramesses II (thirteenth century) and then found again a thousand years later under the Ptolomies, and the festival text of the god Sokar transmitted with very little change through 800 years… We have, similarly, magical/ medical papyri of the New Kingdom (fourteenth-twelvth centuries) in which two spells are replicated some 900 years later in copies from about 330. And so on. Gaps are often due to chance, because we do not yet possess sufficient source materials. The claim of some scholars that existence of such texts proves that no single authoritative text of the Bible ever existed needs not to be taken seriously. First of all, a substantial group of scholars do believe that an original Ubertext originally existed and that deviations from such a text were solely due to the high error rate of scribal transmission. Of course, our belief enshrined in Rambam’s 13 principles is that that text was identical to the one now in our possession. Secondly, even secular scholars currently accept the Masoretic text as the most accurate one in our possession. Finally, we can approach this queston by an analogy to the text of the Siddur. In our generations, one can find a Reform version, a Conservative edition and the prayerbook of the Reconstructionists that exist at the same time as the accepted traditional version. Can that serve as the proof that these versions always coexisted with the Orthodox prayerbooks? Clearly, the existence of the Mesora is in itself an indication how seriously correct transmission was viewed among the mainstream; correspondingly, an absence of a mechanism analogous to the Mesora among the sectarian groups invalidates manuscripts that stem from those quarters. Historically, a primitive versions of the Masorah has been employed by the Syriac Chrisitians for their text of the Bible, the Peshitta. This, however, was probably modeled on the example of the Jews and has not been adopted by any other group. Careful reading of this passage in the original suggests that the argument relates to the consonantal text which is overwhelmingly identical in all Masoretic texts and not to matters of vocalization and other particulars, which do differ. He refers to the former as “nusach” and others as “sh’ar devarim”. See also Mishne Torah, Laws of Sefer Torah, 8,4. For some examples see Kiddushin 30a, Genesis Rabba 12,6; Sifre Numbers 69, Megilah 16b, Nedarim 37b and for others, Yeivin pp.132-137. It should be noted that there are some differences between the Babylonian Masora parenthetically quoted in Talmudic and Midrashic literature and the Tiberian Masora on which our scrolls are based. They have been collected by Shmuel Rosenfeld in Mishpachat Sofrim published in Vilna in 1883. This has been discussed in the Rishonim and a good overview, albeit from the academic perspective, is found in Y. Maori, Rabbinic Midrash as evidence for textual variation in the Hebrew Bible: History and practice, in: Modern Scholarship in the study of the Torah (Orthodox Forum), ed. S. Carmy Jason Aronson, Northvale NJ, 1996. 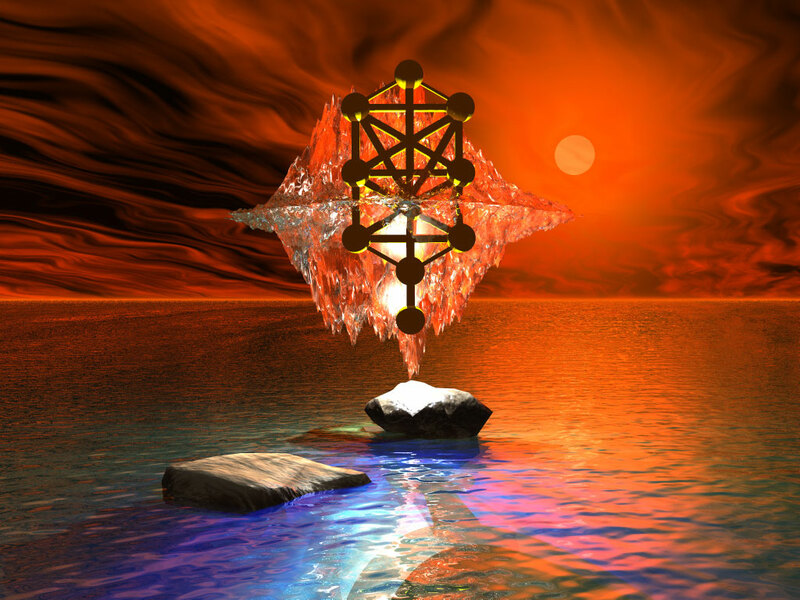 Midrashic forms defy categorization. As study of midrash gained popularity in university departments of literature in the 1970s and 1980s, a great deal of energy and effort was expended on applying existing literary form conventions to midrash so as the to be able to classify passages on the bases of pre-existing literary forms. With the exception of some insights on the structure of so-called homiletical midrash, this effort essentially came to naught because the fluidity of midrash made it impossible to apply fixed categories to it. At the same time it cannot be denied that there do exist certain common structures that one tends to encounter repeatedly. It seems to me that the reason for the academicians' failure to make proper sense of them is that they attempted to find in them literary conventions rather than a religious-moral function. Mekhilta on our parsha contains several examples of a common Midrashic structure. In it, a tanna, often identified by name, provides a measurement or size of something in the verse. This measurement tends to be quite reasonable and realistic. It is followed by several anonymous logarithmic expansions, until we end up with a number that is clearly more in the realm of derash than pshat. Let us look at two examples from our parsha. And Chamushim did the Children of Israel go out of Egypt (Exodus 13,18). Another interpretation: one out of five. Another interpretation: one out of five hundred. R. Nehorai said: By Divine Service - not one out of five hundred as it says, "You were numerous like sprouts of the field (Yechezkel 16)", and it says, "The Children of Isreal grew numerous and swarmed and mighty" - that a single woman gave birth to six in one pregnancy - and you say that one in five hundred came out?! By Divine Service, not even one in five hundred came out and not even one in five thousand. Rather many Jews died during the three days of darkness…. It goes without saying that if only one of five thousand Jews left Egypt and considering that there were 600.000.00 males, the total number of Jews who had lived in Egypt before the Exodus would have to be in tens of trillions. And he took 600 selected chariots and all chariots of Egypt and threes over all of it (Exodus 14,7). R. Shimon Ben Gamilel said: This is the third horse. In the past only two horses drove a chariot but Pharaoh added one more in order to be faster to chase after the Children of Israel. R. Antoninus said : There were three and he added one more so that there were four horses. Another interpretation: There were three horses for each one. Another interpretation: Three hundred horses for each one. So what we have is a resonable interpetation followed by wilder and wilder exaggerations that are clearly not tenable in realisttic terms. Here is another passage, not form this week's parsha, that nicely illustrates this Midrashic form. When Esther entered Achashuerosh's presence he extended a staff to her as retroactive authorization to come inisde without an appointment. The staff miraculously elongated. (How much did it extend?) R. Yirmiah said: It was two cubits and He made it twelve cubits long. Some say - sixteeen. Some say - twenty four. In the Masnisa it was taught: sixty. Similarly you find the case with the hand of the servant girl (who pulled Moshe out of the Nile) and so you find with the teeth of the wicked (of the giant Og whose teeth elongated so that he could not take off the mountain that he put on his shoulders in order to throw it on the camp of the Jews) (Megilah 15b). The fantastic numbers that are often found in Aggadah have already been noted by various Rishonim. Rashba, for example, when discussing the story about Og in Brochos 54b, says "at times Sages expounded in public…and people would fall asleep. To awaken them they said to them things that were strange and would wake them up. 'Rebbi expounded and the public slumbered. He sought to awaken them and said: one woman in Egypt gave birth to 600.000.00 in one womb. There was one student there by the name of R. Ishmael b.r. Yosi. He saked; "Who was she?" He said to him: "Yocheved who gave birth to Moshe who was valued like 600.000.00 (of Israel)" (Canticles Rabbah 1,15,3. See also Z.C. Chajes, Student's Guide through the Talmud, p. 196). That Chazal often exaggerated measurements and numbers for pedagogical reasons is well accepted and attested to in Talmud itself. We are, however, interested in the form that it often takes in Midrash - a realistic measurement, followed by one expansion after another until the numbers are clearly in the realm of fantastic. Why this order of presentation and what motivates these expansions? It seems to me that Chazal were very aware of the limitations of pshat as a tool for understanding the Bible. Pshat, by definition, is based on our everyday experiences; it tends to the common sense and is naturalistic. We attempt to explain the meaning of verses in a way that makes the most sense based on our experience and other facts that we know that can bring to bear on the verses that we ponder. From many perspectives, everyday experience is an inadequate tool with which to approach miraculous and out of ordinary. In addition, peshat is weak as a motivational tool to greater religious commitment. Our imagination is not stimulated by what is close to our experience; on the contrary, the quest for the Divine seeks to transgress the boundaries of reason and to escape into an altogether different and extraordinary sphere of imagination. It may be that Chazal felt this limitation or reason when speaking of the miraculous events and times in history. The scholars that came later could not be content with merely recording the comments of the previous Sages, when they felt that the miraculous that was portrayed there was not miraculous enough. It is not that they were interested in the actual length or size, it was the essential inadequacy in how reason relates to miracles. They wished the audience to feel and palpably sense the miraculous and not be content with the reasonable and commonplace. They wanted the people to experience and sense Divine intervention and increasing and enlarging the magnitudes and sizes served that pedagogical purpose. For a review of the rise and fall of academic study of midrash see D. Stern, Midrash and Theory: Ancient Jewish exegesis and contemporary literary studies, Northwestern University Press, 1996, introduction. See notes to Torah Shelema who quotes opinions that this view is "da'as yechida'ah", a one person's opinion and that we do not follow it, as well as a lament cited there that "we in Islamic lands already have great problems with the Moslems who argue against the number of 600.000.00 Jews arising out of 70 individuals within 210 years". Of Israel (Zeis Ra'anan).. Torah Shelema quotes some versions that also have "thirty for each one"
 Feldheim, 1960. A new edition was recently published by Yashar Press. The Talmudic examples of exaggeration all relate to size or measurement. It is not clear that this Talmudic form can be extended beyond these parameters into the realm of character qualities, punishments for sins, or Divine attributes. The critics point to passages in the Torah that suggest later authorship. A favorite such passage is the account of the kings of Edom in Genesis 36. It states that "These are the kings that ruled in Edom; before a king ruled in Israel". Since the first Jewish King was Saul, this passage must be a later interpolation (see Ibn Ezra ad loc who argues against this view). However, this same passage also provides a proof for its Mosaic authorship. It is repeated in Chronicles I,1 43 51. Here are two verses with a crucial difference highlighted. And Baal-hanan the son of Achbor died, and Hadar reigned in his stead; and the name of the city was Pau; and his wife's name was Mehetabel, the daughter of Matred, the daughter of Me-zahab. And Baal-hanan died, and Hadad reigned in his stead; and the name of his city was Pai; and his wife's name was Mehetabel, the daughter of Matred, the daughter of Mezahab. And Hadad died. The Vilna Gaon in his commentary to Chronicles interprets "before there ruled a king in Israel" as referring to Moses. He writes: "This is why (in Genesis) it does not mention that Hadar died, for he was still alive in Moshe's time (and for 5 years after his death as is explained in the Sefer Hayashar)... but in the days of Ezra (the author of Chronicles) he already died. This is why here (and not in Genesis) it states , " and Hadad died". (in the name of Ibn Ezra and Rashbam). According to the Vilna Gaon the passage contains evidence of its Mosaic origin.